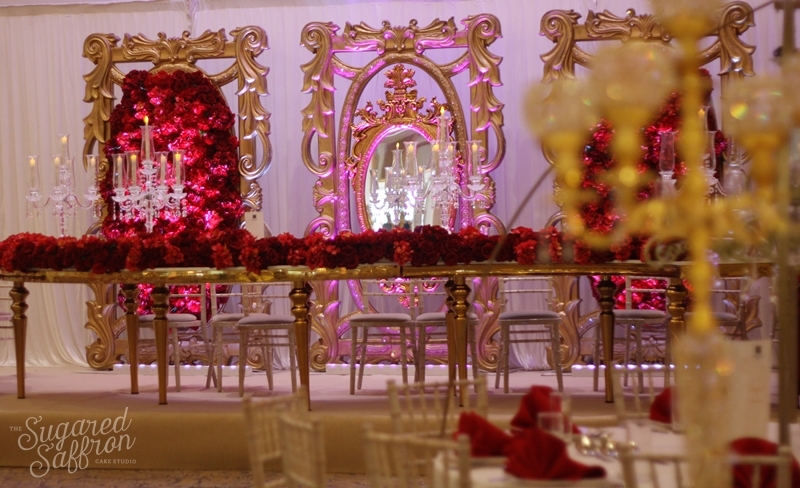 Here are some images of an incredible Asian wedding for R&K who had their walimah at the incredible Meridian Grand. 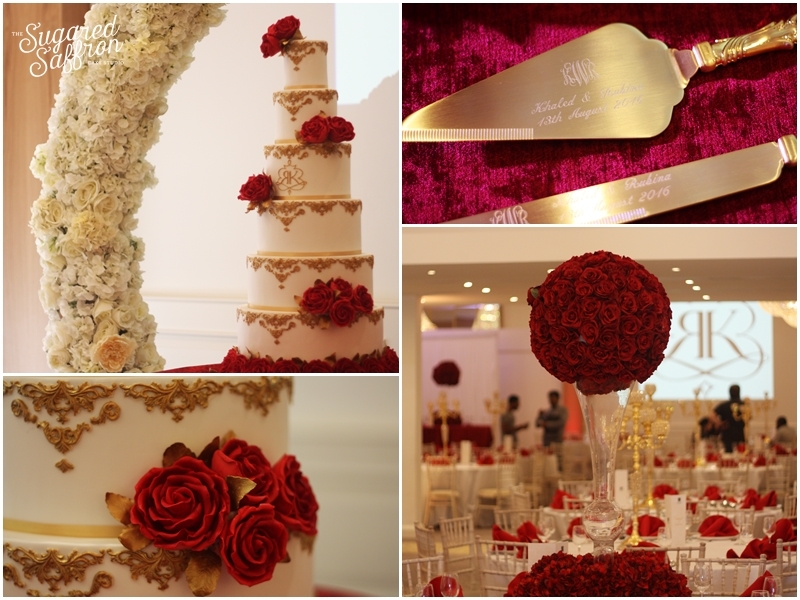 With a traditional red and gold theme, they didn’t want to go overboard but still wanted to have something that could feed a large number and incorporated handmade sugar flowers instead of silk. 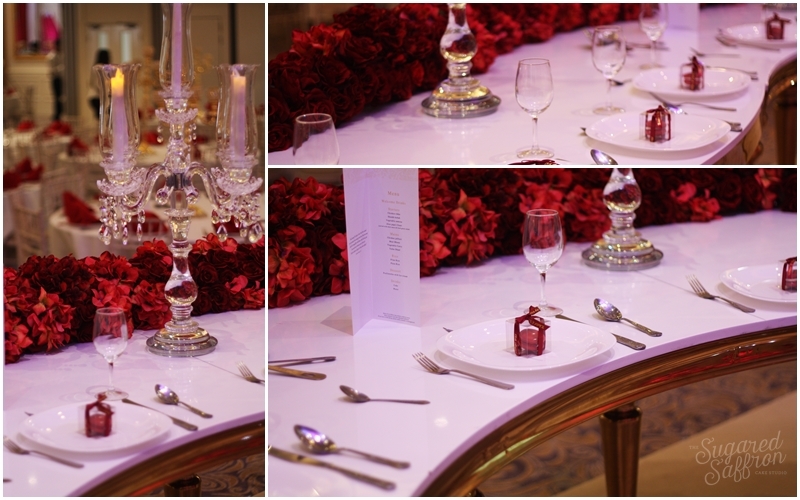 All the decor was provided by Medina Events whose gold and red decor was so well done. During their consultation I sketched their design out. 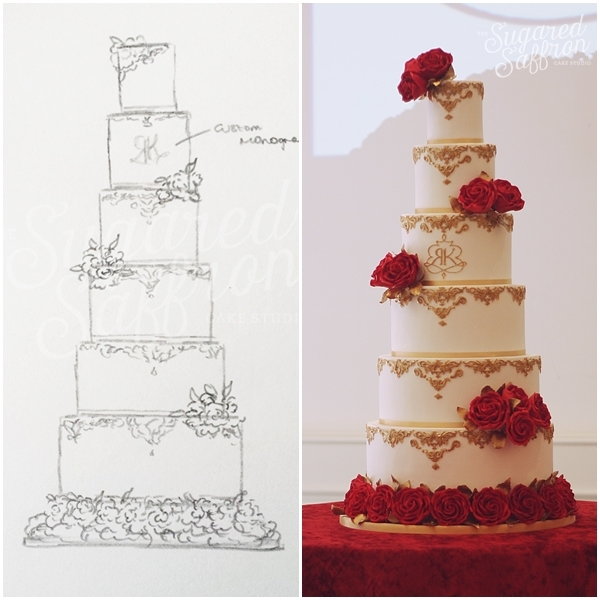 In the end we moved their custom monogram to the 3rd tier, as the sugar roses were an obstruction and it could be made larger on a wider tier. They also ordered these delicious red velvet macarons to go on their top table. 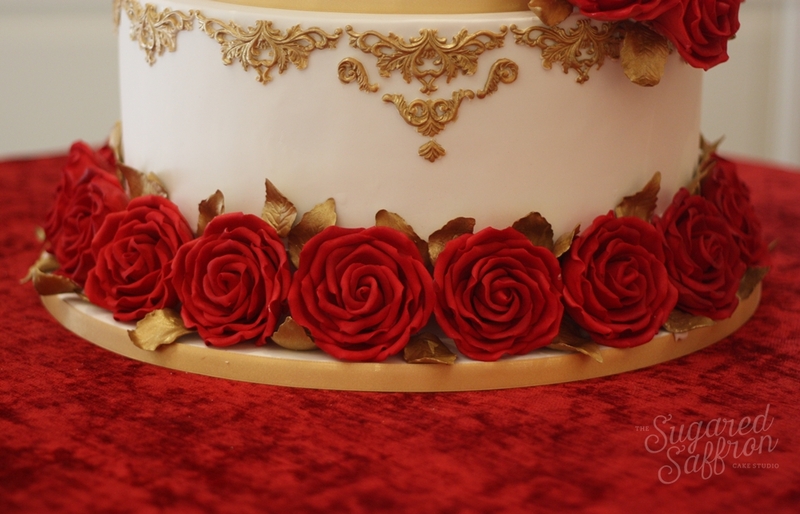 Each sugar rose was painstakingly crafted petal by petal, from a hand coloured red gumpaste. For even more depth, every rose was individually dusted with a highly pigmented edible dust. If you look closely, you can see the different shades of red in different areas of the petals. 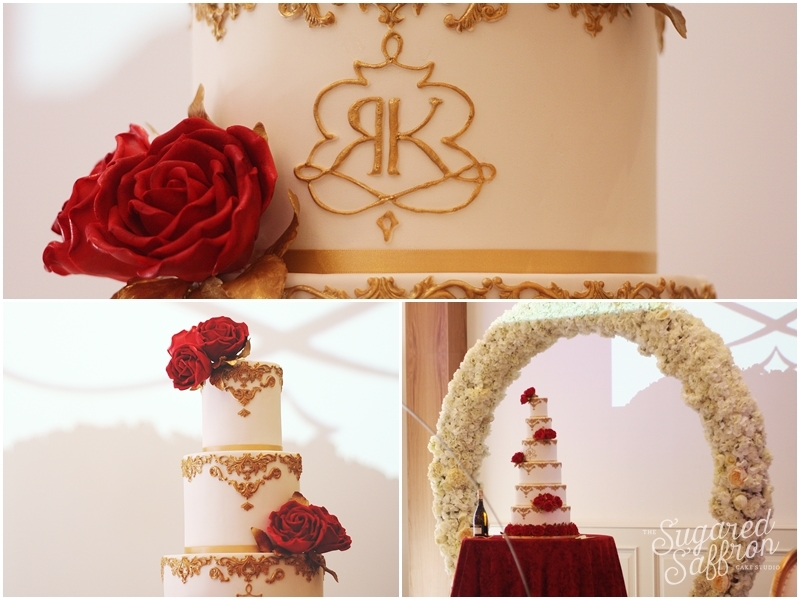 All of the tiers were red velvet, the brides favourite flavour which would have looked amazing once plated, complementing the whole colour palette of ruby red and antique gold. And here’s the heartwarming feedback from the bride herself. Everyone is still talking about my wedding cake! I should’ve thanked you earlier for your amazing work! Not only did you deliver a beautiful cake the way I had imagined but it tasted absolutely Amazing! I always use to go to Harrods during Xmas for this red velvet cupcake and I honestly couldn’t find anyone who beat Harrods at red velvet cake but after my wedding cake I have finally found someone. YOU! You did such an amazing job Asma, from the bottom of my heart I thank you for your hard work.